Samantha Davis said her 15-year-old son, Wyatt, was beaten up twice Monday at Mandarin Middle School -- once in the locker room of the gym and later in a stairwell. "What they did to my son… is one of the most disgusting things that you could ever see," said Davis. She believes the school staff was clearly negligent by not providing a safe environment and is angered that Wyatt received the same discipline as the boys seen on video beating on her son. "It breaks my heart. He's 15 and he's my baby," Ms. Davis said. "He never stood up. The whole time he just kept getting hit and hit and hit and he never swung back." Samantha and Josh Davis said their son was being taunted during physical education class by another student just before the locker room attack that was recorded by a student's cellphone. The second attack occurred after Wyatt left the locker room and was recorded by a school security camera. "You can't even see Wyatt. There's between 10 to 20 on him -- nobody knows. You can't see anything, it just looks like something is on the floor," Ms. Davis said. Davis questions where security was during the attack. 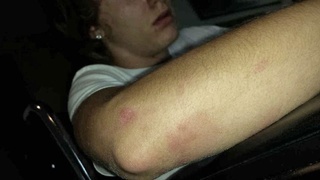 Samantha Davis took photos of Wyatt's injuries when he got home and told her about the fight. She said he was beaten so badly he suffered a concussion . 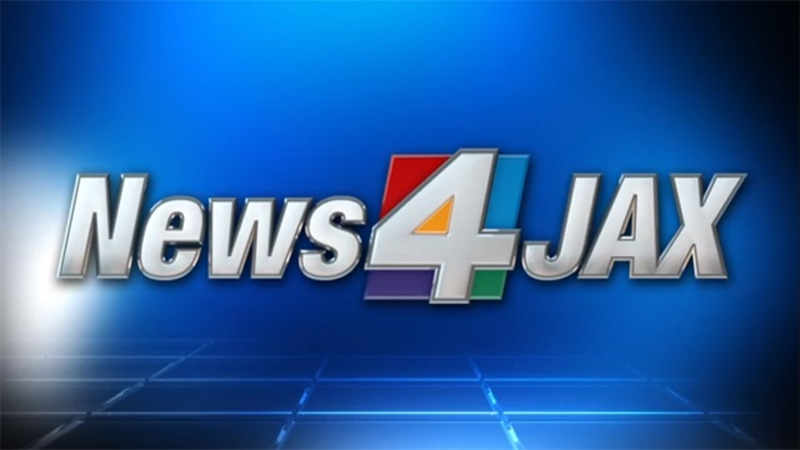 The Duval County School District said school leaders and the school's resource officer are actively investigating and that the students involved have been disciplined according to the district's student code of conduct. But Davis says Wyatt was also suspended for three days, and she doesn't think that's fair. "The school's code of conduct was supposed to provide a safe environment for my children. That has not happened, so don't quote me a school code of conduct," Samantha Davis said. The district told Channel 4 the school is reviewing multiple videos as part of its investigation, but so far believes it was an isolated incident and not gang related. The district also told Channel 4 that if the mother wants to dispute Wyatt's punishment, she can file an appeal with the school. As for the Davis family, they are considering their legal options. Attorney Rhonda Peoples-Waters says the family could consider asking the state attorney's office to file criminal charges against the aggressors or suing the school district for any medical expenses. "They would have to establish that school district in some way failed to protect their child from the harm of a bully or an aggressor who has had prior reports of known bullying and fighting," Peoples-Waters said. "Or there could have been a circumstance there where teachers should have been present or that there was a lack of supervision where there should have been supervision."